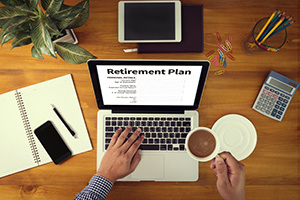 Which Retirement Plan option might be best for your business? In my previous blog I talked about why a retirement plan might be a good option for your business. This time I want to spend some time on some of the different plan design options out there so you can get a sense of which option might be best for your business. The reality is that retirement plans are flexible, and depending on how much money you’d like to be able to put away, you can either pick plans “a la carte” or you can layer on different types of plans to increase the amount you’re able to save. While there are other types, in this article I’m going to focus on plans that provide the greatest tax benefits. These are generally referred to as “Qualified” plans. That means that they must comply with regulations defined by the Employee Retirement Income Security Act or ERISA. These rules set requirements around non-discrimination, eligibility, vesting, participant communication and other areas. Because these plans have the most regulations, they also have the most tax advantages. Generally, there are a couple of different ways that you can categorize qualified plans. The first is based on how contributions are determined. One option is for contributions to be defined. That means that the amount put in to the plan is defined, but there is not guarantee how much will be distributed out of the plan. These, not surprisingly, are called defined-contribution plans. The most popular type of defined contribution plan is the 401k. In these plans, accounts are set up for individual participants and they get to decide how much they want to contribute, subject to annual limitations. It is also possible for employers to make matching or profit sharing contributions to the individual employee accounts. In a 401k plan, contribution limits are currently $18,000 per year. If you’re over 50, you can make an extra $6000 per year contribution in an effort to “catch-up” on your savings. Currently you can set up plans a couple of different ways. You can go with the classic “regular” 401k contribution and get your tax benefits now, or it’s possible to set up your account as a ROTH 401K and you can get your tax benefits when you take your money out of the plan. Layer on matching contributions and/or profit sharing contributions and you can put up to $53,000 per year into these accounts. Another plan design option is when the amount that will come out of the plan is defined. These are called defined-benefit plans, or more commonly “pensions”. While there are plenty of stories in the news about government agencies and large corporations having trouble funding their pensions, these can still be a very nice option for some small businesses. Because these plans dictate that a certain amount of money must be paid out at some point in the future, actuaries must determine how much must be contributed. These contribution amounts are based on assumptions about future growth and how long the money will be invested before payments begin and then how long those payments are expected to last. Because these plans allow for the possibility of providing a future annual income benefit up to $210, 000 per year, it’s possible that depending on your age and income, you may be able, and required to put a lot of money into these types of plan. Bottom line, the amount of money you hope to be able to set aside in a tax advantaged way will be a big determining factor on which type or combination of plans you go with. In my next blog I’ll talk about things you need to factor in to your decision that will help you minimize your risks. If you are thinking about a possible retirement plan and have questions, let me know. I’d love to help!